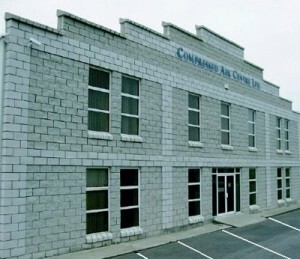 Compressed Air Centre is a dynamic 100% Irish company specializing only in Compressed Air Equipment based in Drogheda and have been in operation here since 1980. Our methods of business are manufucturing, sales, and service. For example; we design and build a Trailer Mounted Petrol/Diesel Air Compressor – The Trailer-Blast for all industries including the monumental and tyre business. The Trailer-Blast is made entirely here on our premises in Drogheda. Technical advice on all forms of Compressed Air Systems is always available. A FREE service we offer is CAD drawing for the installation of the most efficient and aesthetic pipe-work available in the world today – Teseo. 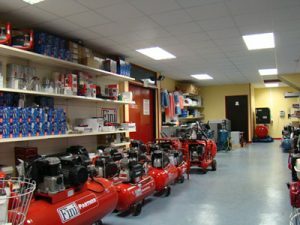 We carry an enormous range of Air Tools and Filtration Equipment, keeping all spare parts for every product we supply. Where Guarantees are concerned, if you buy a product and wish to return it within the warranty period you will be refunded immediately. It is very important to us that you have complete confidence in our business. Compressed Air Centre Ltd (CAC) offers a complete line of Air Tools and accessories which are specifically designed for Automotive and industrial applications. These Tools have the Engineered Excellence only CAC and our partner Fini Italy can provide. Each Air Tool is easy to use and hold while operating at top performance over many years. Impact Wrenches, Drills, Grinders, Sanders Ratchets, CAC’S chosen industrial and automotive tools and accessories are some of the very best tooling on the market today. We have a wide selection of certified tools to be used in a wide variety of jobs and projects. Our line of industrial air tools are among the best in the country. 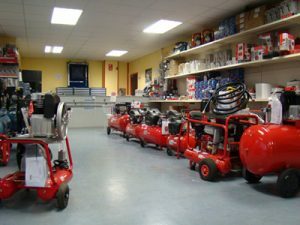 Compressed Air Centre works alongside Fini Italy to supply a range of industrial air tools that offer the ultimate in worksite solutions that combines quality, high productivity, and cost efficiency to give great value for money. Some of the most popular products of air tools are perfect for high production and manufacturing such as those used on assembly lines, tyre applications, garage workshop floors, outdoor work, there is a tool for all applications. Most importently for you as a customer, all service, repairs, parts and accessories are available here in Drogheda. CAC is renowned for it’s aftercare to all products used by our loyal customers since 1980. Dublin, Ireland | Compressed Air Centre Ltd © 2019. All Rights Reserved.